The E I was soon superseded by the generally similar E II with the 75-kW (100-hp) U.I rotary for improved performance. The E.II was slightly longer and heavier, even though it had shorter wings. 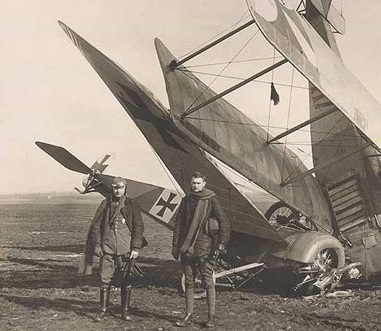 Early Fokker E.II – originally equipped with a 7 cylinder 80 hp Oberursel U.0 – later refitted with a 100 hp Oberursel U.I. On the early E.II, the upper longeron is straight, and the standard production E.II had an auxiliary longgeron to support the larger diameter cowling ring and cowling needed for the 9 cylinder 100 hp U.I engine. The E.I and E.II were built in both armed and unarmed versions, and mainly used for training, before the armed versions were re-engined with a 74.6 kW / 100 hp Oberursel rotary and re-designated E.III. They also had lengthened wings, could carry more fuel and had greater ammunition capacity.